Last month my husband and I travelled from DC to South Carolina twice to visit family and both times we made sure to have at least one meal at Zaxby’s while we were there. Do you have Zaxby’s where you live? It’s a fast food restaurant down in the Southeast that serves the most amazing chicken-along with their famous Zax Sauce for dipping. 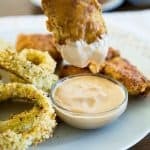 After our last visit my husband was craving some Zaxby’s so I cooked up some chicken and made this copycat Zax Sauce recipe to serve with it. I’m not exaggerating when I tell you the batch was gone in less than 20 minutes! If you haven’t tried it, give it a shot-I can almost guarantee you’ll be craving it again in no time! Mix all ingredients together and refrigerate at least two hours before serving. A couple of quick tips: I use light Duke’s mayonnaise and have no issues with it although many other copycat recipes I’ve found online recommend Hellman’s, supposedly because the lemon flavor is more pronounced. I add lemon juice to mine so I’ve had no issue. Spray your measuring spoon with nonstick spray before measuring the molasses-it will slide right off and make sure you get the proper amount in the bowl, no sticking to the spoon! 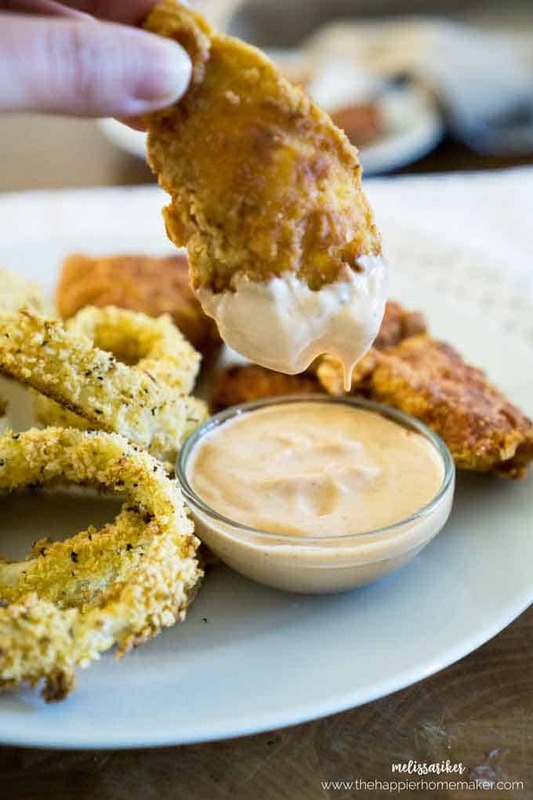 Serve this sauce with chicken, fries, or onion rings-it’s good with SO many different foods! Tell me in the comments-have you tried Zaxby’s before? 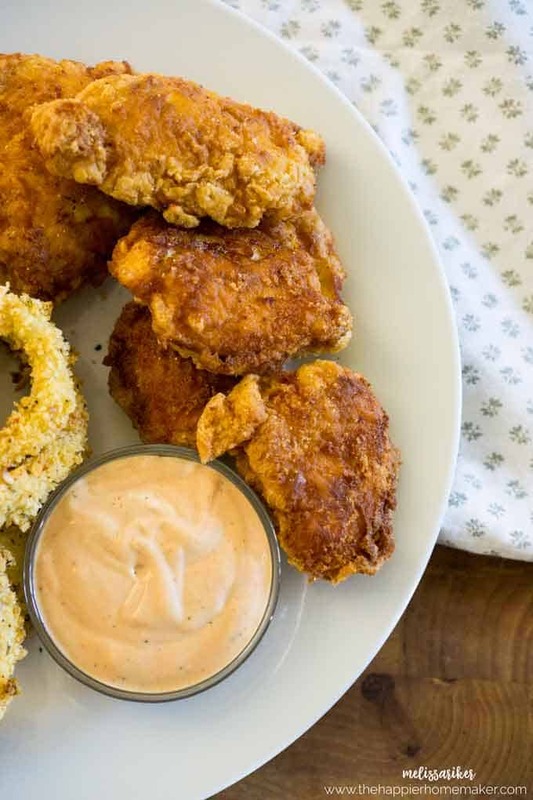 Zaxby’s Zax Sauce is a dipping sauce perfect for chicken or fries (or most any fried food!) This copycat recipe has ingredients found around the house and tastes just like it! Oh boy! I do love that sauce. I’m going to have to try this recipe. Love Zaxby’s sauce and saw this recipe and immediately made it. It’s delicious. So glad to get recipe, thanks. I was a manager of a Zaxby’s for a while. While it isn’t the exact thing, this is the closest copy I’ve ever made. So so good! I love Zazbys! Can’t wait to try your copycat! !